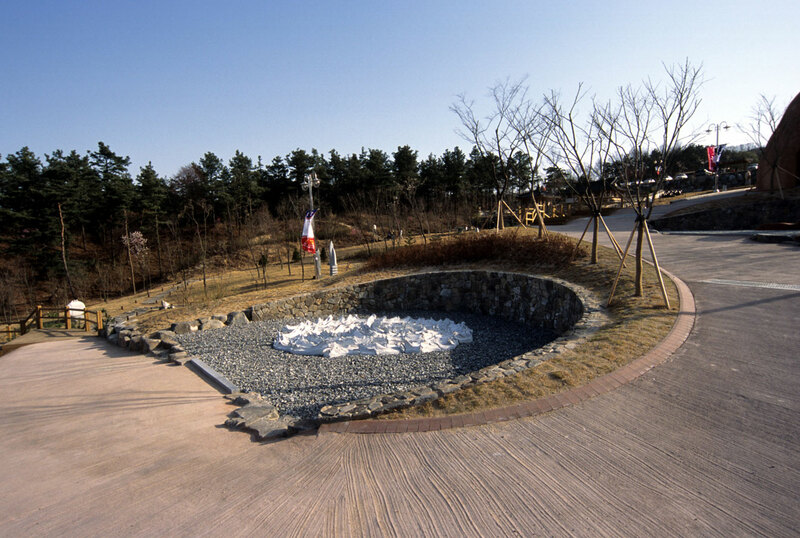 Site-specific response to an oval slice in a hillside in Korea. The site overlooks Icheon City and the surrounding landscapes; a region famous for ceramics, and rice. The particular environmental conditions and weather patterns of the area will impact this sculpture and change its appearance over time, revealing the internal structure through erosion.